Alpine paradise awaits! 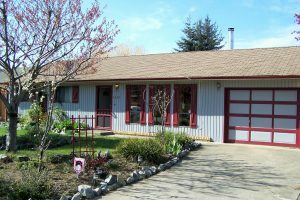 This cozy 4 bedroom,1 bathroom property sits on a large oversized lot. This detached A-frame house features a large backyard with playground set & fire pit and a covered carport. Other features include a wood stove, wired in generator panel, and a tin roof. Washer, dryer, fridge, stove, & dishwasher included. Close to school, parks, hospital and recreation centre. Call and set up an appointment to view this listing before it’s too late!